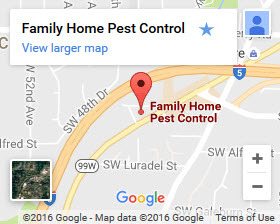 For effective flea removal in Portland, don’t wait to contact Family Home Pest Control. Fleas live by a blood meal from a host which includes people, pets and other animals. 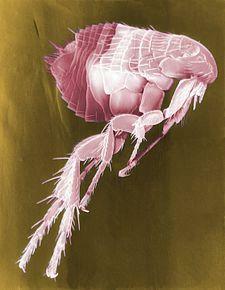 Most often fleas are brought into the home from the outside by pets or people. Fleas can jump quite high. They jump onto pets and hitch a ride into the house. As time goes by they reproduce eggs and those eggs drop off the pet and turn into larvae. Before you know it you have an infestation in your structure that requires professional flea removal in Portland. 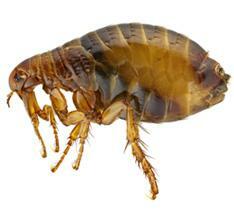 Our pest control service has been providing Portland with flea removal for many years. Here in Portland, we have several species and some are more difficult to deal with than others. In preparation for flea treatment, as much floor space as possible needs to be cleared. This does not include beds and large furniture but closets and general floorspace needs to be cleared for treatment. If the customer has a cat living in the house, more places may need to be cleared such as under beds. Cats can get almost anywhere and drop flea eggs. That’s why it’s important to clear more of the floorspace as possible to get an effective flea treatment. During a flea treatment, our company uses multiple different types of pesticides. They are used for different reasons. Some are used as an IGR, or an insect growth regulator. That is a critical component of the treatment. It’s toxicity is extremely low and it is used to render the flea infertile on a longer-term basis, thereby terminating it’s reproductive ability. This way if the flea does not actually die from the insecticide it will at least not be able to reproduce, thus terminating the infestation. Your flea problem can be controlled with flea removal services. For comprehensive flea removal in Portland, Call (503) 452-9965 or contact us today.